Free high resolution photo of white crabapple blossoms against a brilliant blue sky. 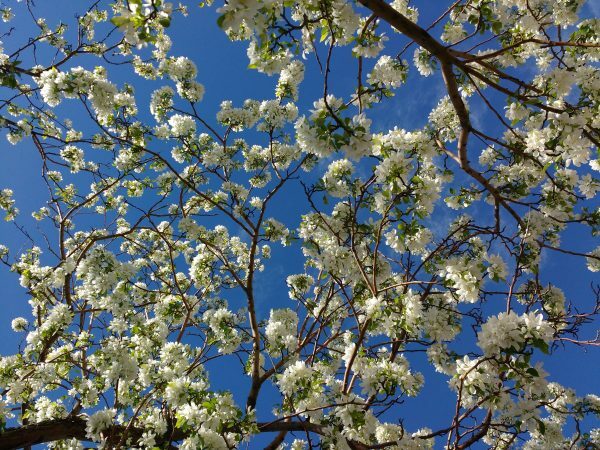 This image was taken from below, looking up through the branches of a crabapple tree in full bloom. While crabapples are edible, the trees are generally planted for their brilliant spring blossoms. Free image for any use.